Phi Mu Fraternity's National Philanthropy is Children's Miracle Network Hospitals (CMNH). CMNH has been Phi Mu's National Philanthropy since 1986. Since then, members have raised $9 million for 170 Children's Hospitals across the country. Locally our chapter at OCU supports the Children's Hospital Foundation. Phi Mu Chapters also support Phi Mu Foundation. Phi Mu Foundation is the philanthropic, educational and fundraising arm of Phi Mu Fraternity. 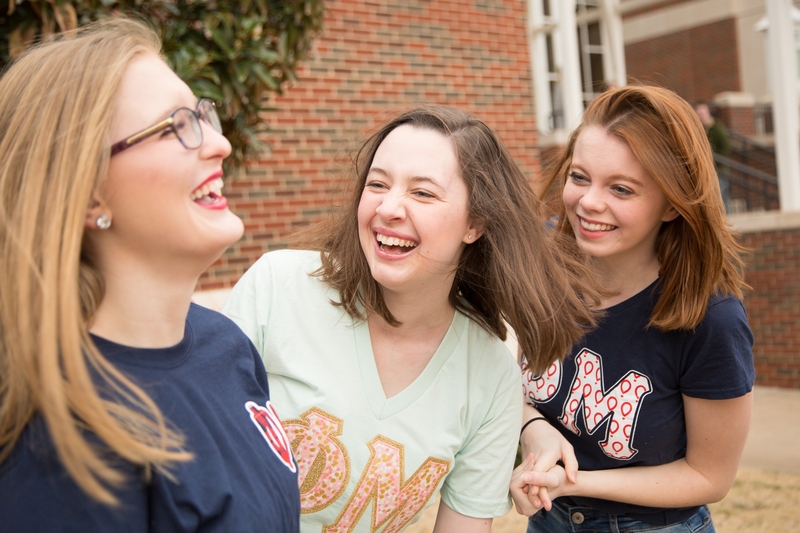 Phi Mu Foundation provides nearly $200,000 in scholarships each year. In addition to these scholarships, the Foundation provides educational grants for Fraternity programs as well as emergency aid for members in need.